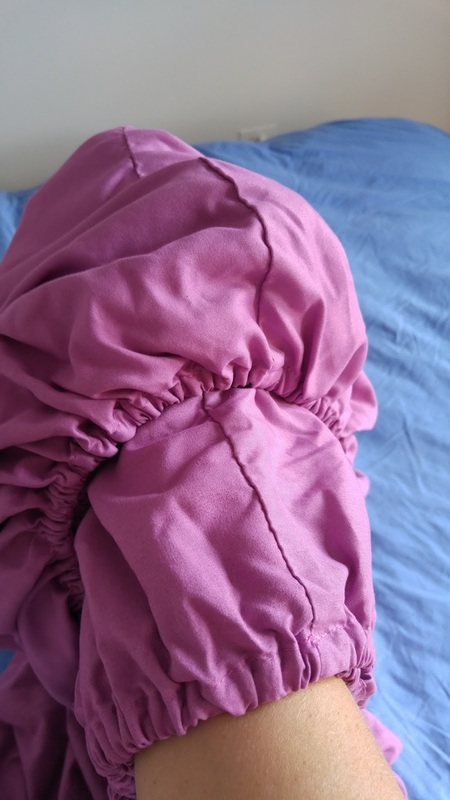 I'm going to show you some strategies on folding sheets. 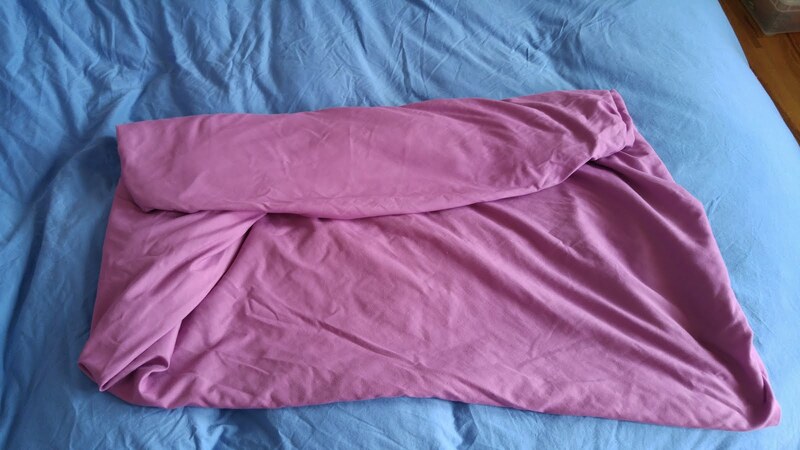 These are done with queen size sheets, but the method works for all sizes. 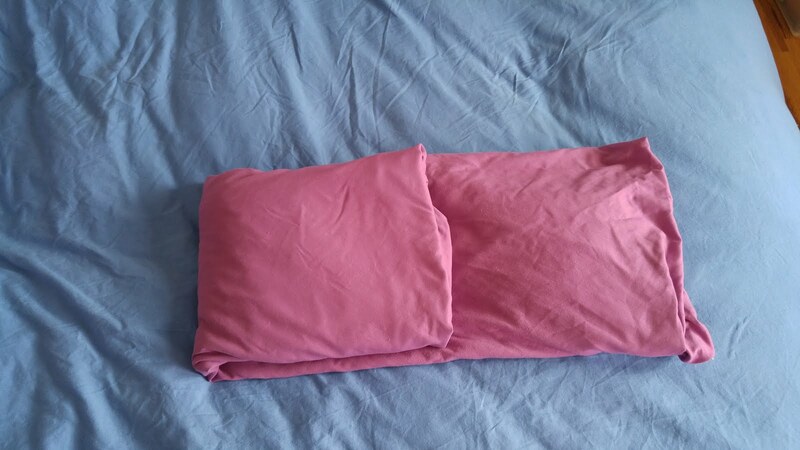 First, we've folded the flat sheet in half three times. Then, in half again, long wise. Next, in half again, bottom to top. Lastly, in half one last time, bottom to top. 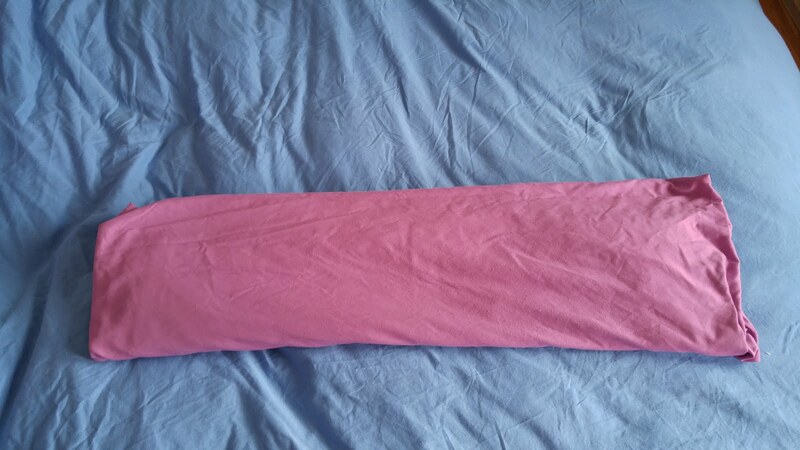 Now onto the fitted sheet. This takes some practice, but once you get, it's amazing how quick and easy it goes! 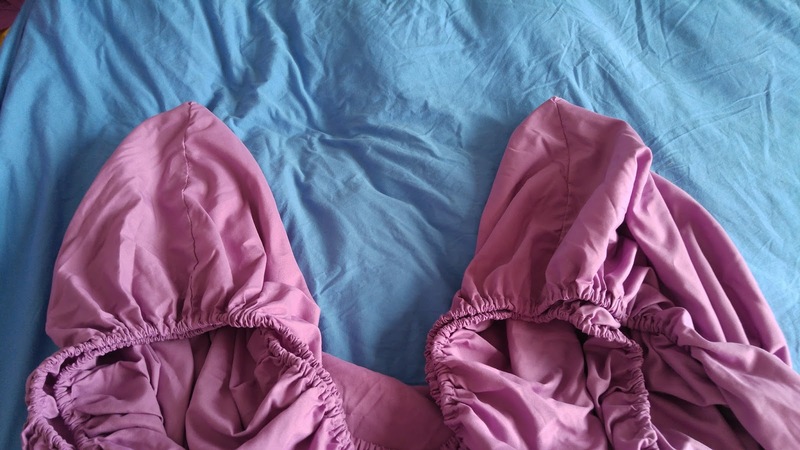 It's so much better than balling up the sheet and tossing it in the closet. 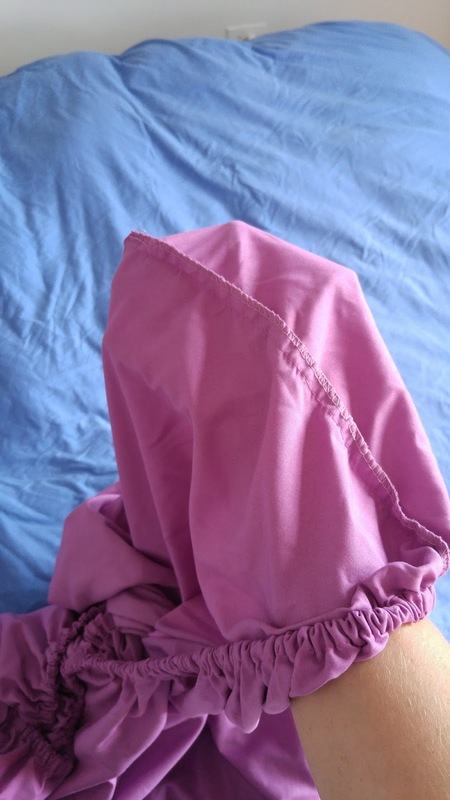 Start with any corner, and turn it inside out (1). Take a corner adjacent to the first corner, and flip it over the first corner. This second corner is now right side out (2). 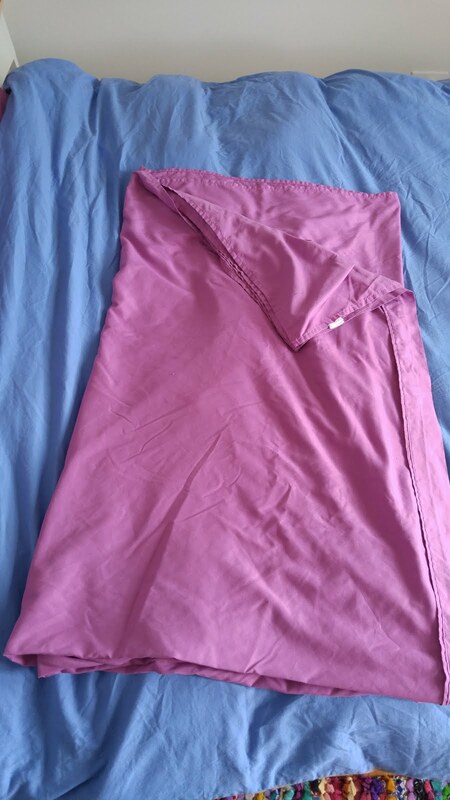 Do the same to the other two corners, such that you have two pairs, pocketed in to each other (3). 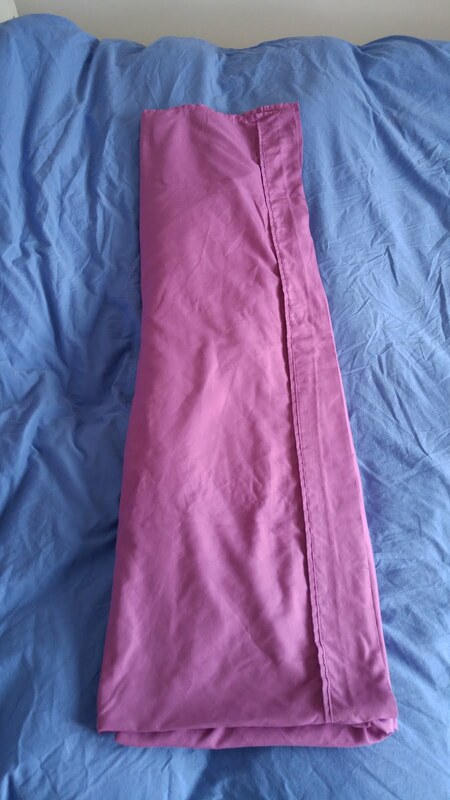 Take one pair on top of the other pair, in the same manner as step one (4). 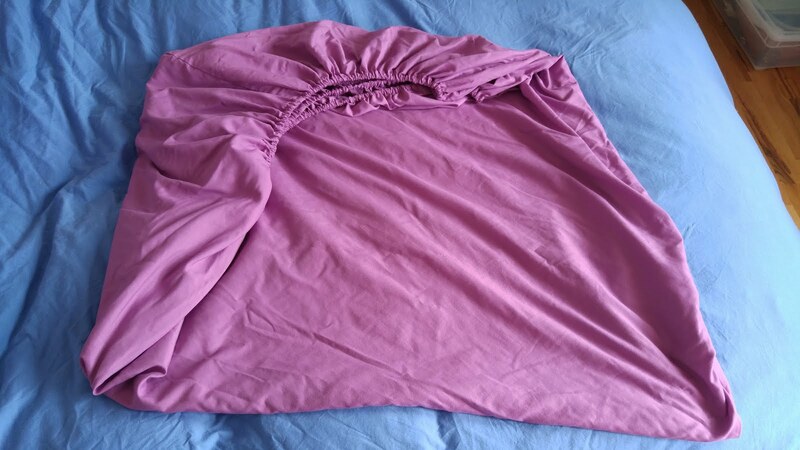 Lay the sheet on a flat surface, creating a square or rectangle with the pockets tucked in to each other in one corner (5). 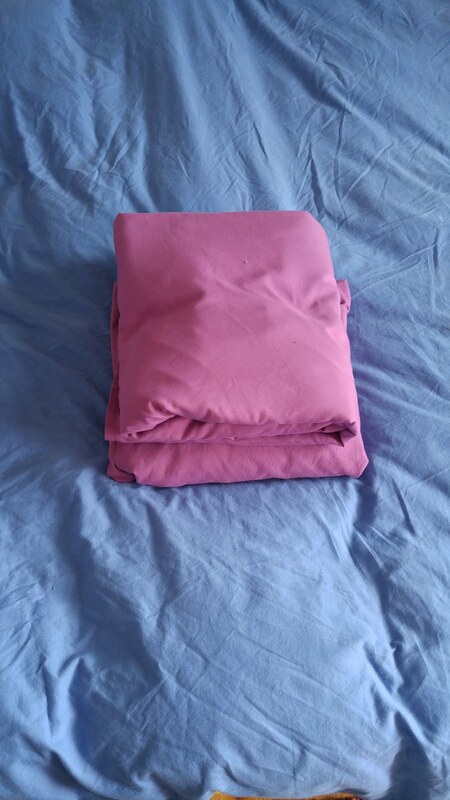 Fold the top down one third (6), and then fold the bottom up (7). 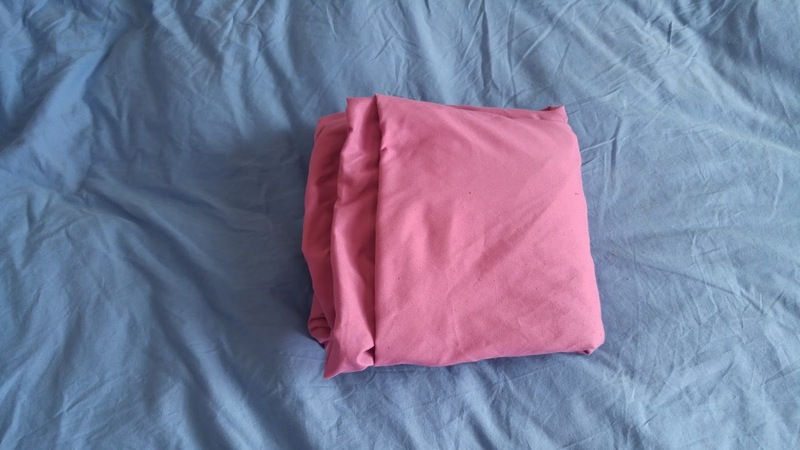 Fold the left side in one third (8), and then fold the right side in (9). When all is said and done, the two sheets will stack together perfectly!